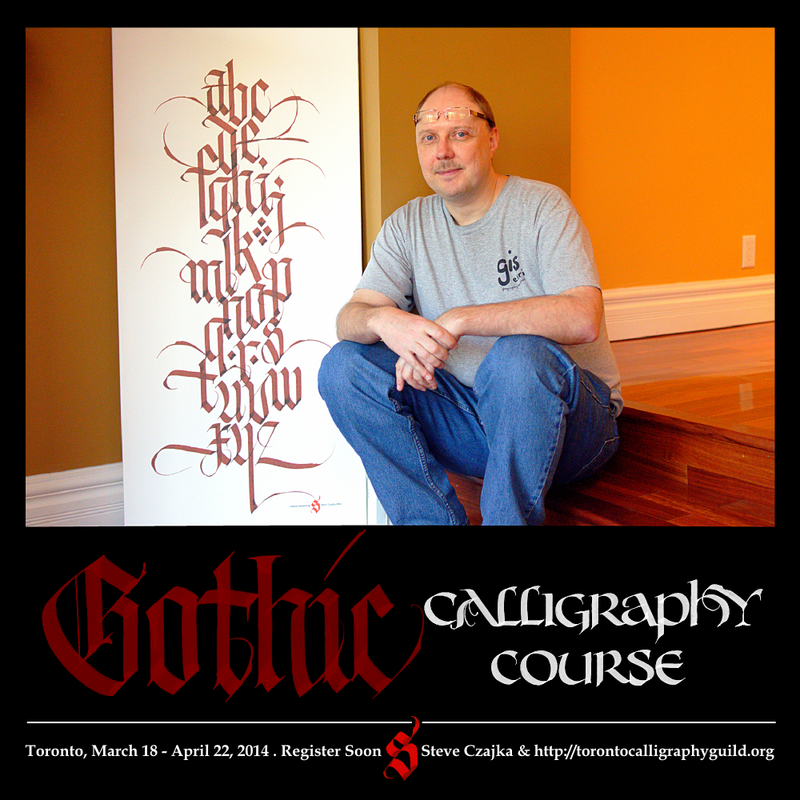 The Gothic Calligraphy Course starts this Tuesday, March 18th in Toronto taught by Steve Czajka. There a only a few spots left so if you are interested please contact Steve Czajka at ( steveczajka [at] hotmail [dot] com ) soon. Seating is limited. UPDATE: March 27. This course is in full swing now. I am in the process of creating an eBook for online or correspondence calligraphy learning. The eBook including printable exemplars will be closer to 50 pages in length and covers the materials, history, modern interpretations and my three easy keys to learning calligraphy & lettering. I am totally excited about this eBook. Details will be made available soon on this website soon. 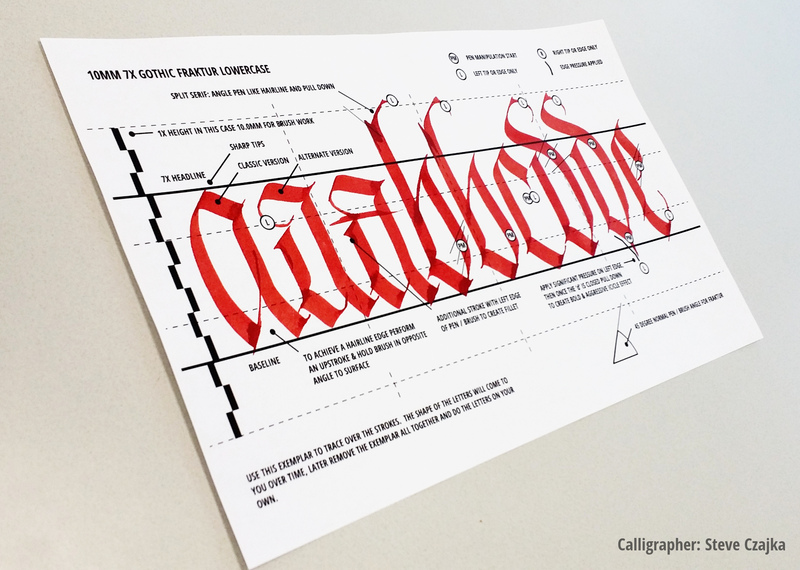 Be presented with some of the best examples of Fraktur from all over the world with a critical analysis of what makes great lettering. See demonstrations by Steve Czajka on different methods of calligraphy including: traditional calligraphy pens, double pencil technique from Roman times, and even wide-format paint markers (used in the Calligraffiti movement). Work towards a final assignment focused on a flourished capital letter, surrounded by Gothic text of their choice and design. Learn to letter their works onto: paper, cloth, sign boards, dry wall, wood, glass, mural applications, and even coated concrete surfaces.